Deja atrás todos los problemas que genera la maleza, La tela Ground cover evitará que las malas hierbas crezcan sobre tus cultivos. Within the world of crop farming it is known that weeds and unwanted grasses can be a problem in whatever crop if they are not stopped as they should be. There are various means, tools, and techniques for achieving that end, but there are times when the more that weeds are eliminated, the more their appearance will catch even the most cautious off guard. 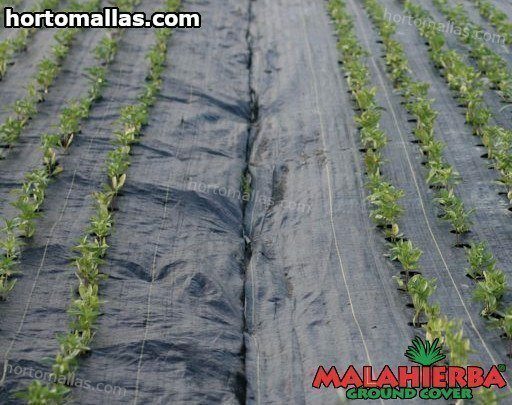 To avoid the bother and worry of having weeds make their appearance on your land and taking control of your crop, use a ground cover fabric to repel them completely. This is accomplished by its ability to let water, fertilizer and air pass through for the benefit of the plant, while at the same time blocking the passage of sunlight and thus not permitting weeds and unwanted grasses to grow. Los pesticidas dejarán de ser un gasto ya que con el uso de la tela ground cover no será necesario utilizarlos. Now there is no need to use any more costly herbicides, which one way or another put at risk the health of your soil; nor the need of complicated machinery or hand labor for removing and getting rid of these bothersome weeds. Weed control fabric is simple to install, sensible to handle, and resistant to deterioration occasioned by constant exposure to sun, water, air, fertilizer, and potential physical damages. 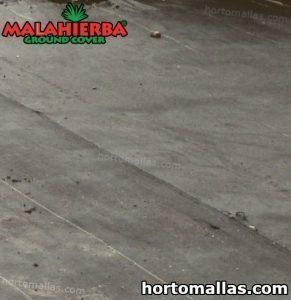 This useful tool, such as the MALAHIERBA brand, is specially designed for a cropping environment where the use of fertilizers and chemicals can deteriorate the tools and equipment involved by contact. Not so obvious are climatic effects such as the sun and water which are also involved in wearing down cropping equipment and tools. 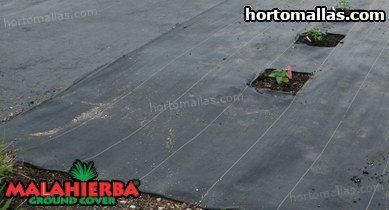 Weed control fabric, in addition to being highly resistant, is also very simple to install, only needing to be rolled out over the area that is desired to be covered. Before beginning to place the fabric, besides having marked the area to be covered, any unwanted object (debris, rocks, weeds, etc.) 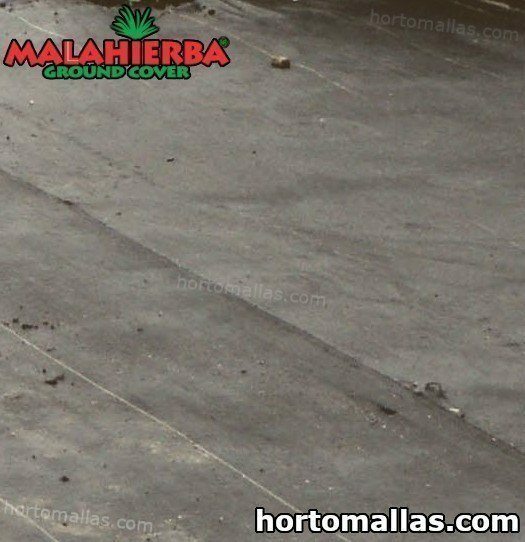 should also have been removed in order to assure the durability of the fabric (HORTOMALLAS fabric can be used for four or five years, for various crops) as well as providing better quality of life for the plants to be grown. What does this mean? 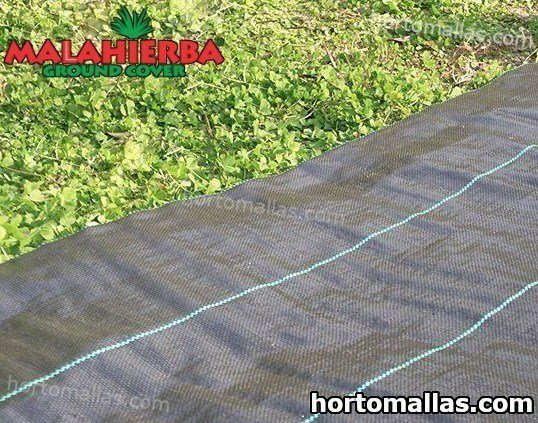 The use of this fabric, designed to stop the growth and propagation of weeds, fulfills another very important function, which is that of keeping the plants of the crop healthy. Thanks to the plants’ leaves being kept from contacting the soil, possible contaminating agents, fungi, or microorganisms are prevented from accessing the leaves, thus avoiding the propagation of highly dangerous crop diseases. Also, once weeds are under control, the incursion of plagues of insects, favored by the weeds and other types of plants nearby the weeds is avoided, thus protecting the crop from attacks by insects. Weeds and unwanted grasses are a problem not just because they are bothersome plants that make their appearance on the land. Weeds are a really serious problem for all kinds of crops due to the fact that they rapidly consume nutrients and compete for the nutrients which the soil offers within their reach or for fertilizer, just as much as for land, even crowding out other plants like the ones which were selected to be grown. This is all a big problem: the crop’s plants are more prone to become diseased, as much for lack of nutrients as by diseases that could be borne by the weeds. If you want to avoid this problem, do not hesitate to use weed control, ground cover. La Ground cover resulta ser un método muy factible y eficaz para tratar contra las malezas. You have now seen everything that this excellent tool has to offer and from what was seen throughout this short article, are not agrochemicals, such as herbicides used before growing a crop, a viable option? There are many herbicides that, in order to be effective, should be applied in stages and end up generating an over-budget expenditure. It may be that the cost of agrochemicals is not a problem for some, but what about the secondary effects of these chemicals in the soil? What happens to the crop when it is planted in soil full of chemical agents? There are herbicide brands that can be trustworthy in their use and application, but they are really costly. Others are much more economical but tend to leave consequences in the soil that in the short or long term can effect the health of your plants. This is one of the reasons why many growers do not recommend the use of herbicides except for specific situations. With respect to labor for cutting and removing weeds, it is time consuming and on occasion also additional money, especially when dealing with really large tracts of produce ground. Besides, on many occasions this is just a temporary solution, in all practicality cosmetic, since, by just one root remaining, with time another outbreak of unwanted grass or weeds can occur and, if this happens at the peak of plant growth, removing it without damaging the plants of the crop, can prove to be a laborious process. No pierdas mas tiempo y aplica esta malla sobre tus cultivos. 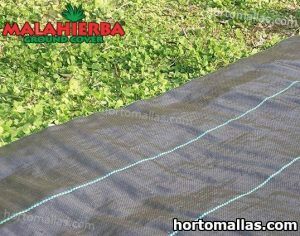 Do not hesitate to use this type of fabric in order to control weed growth. You will see how your crop growth will be healthy and productive once it is kept safe from plagues and diseases that could be inhabiting the soil or these bothersome plants that are usually in one place or another on your ground. Use quality fabric for weed control. The MALAHIERBA range of fabric offers you what you need for your crop, providing adaptability and the guarantee of a much healthier crop. 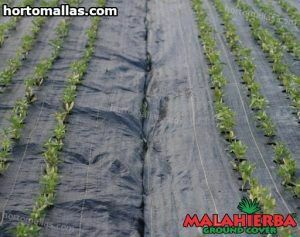 Do not wait until the encroachment of weeds gets out of hand: use ground cover fabric.